As I've started as co-deputy Chair of District and Paul and I have begun fully covering for Revd Loraine as she experiences her Presidential year, I was completely aware of how busy I would be. However August has turned out to be much busier than anticipated. 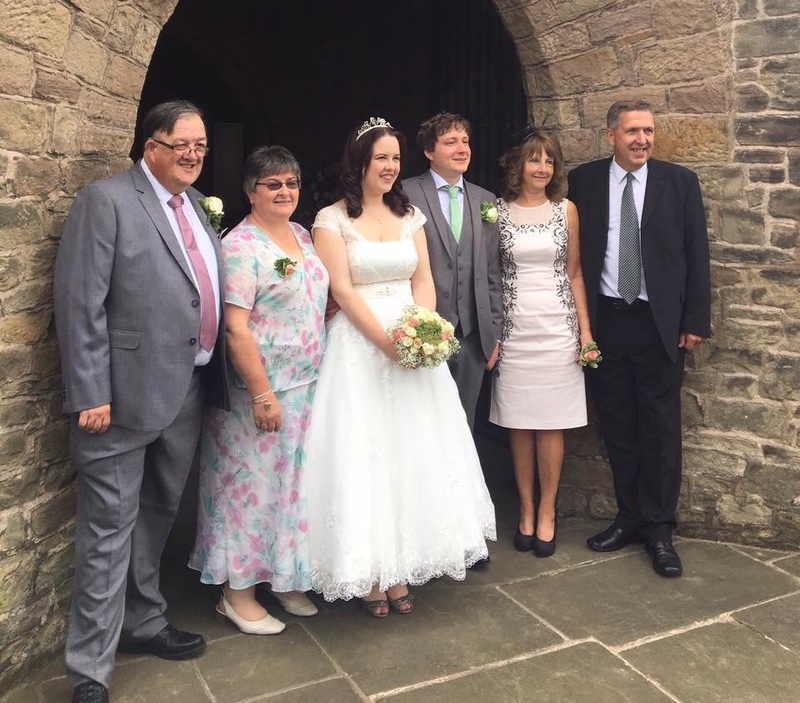 Amongst the round of Chair duties, such as welcoming new Ministers to the District, saying goodbye to the leaving Ministers and so on, I have had four weddings over the last three weeks. The first was to take part in the wedding of Andrew Chalmers and Elena, in Romania. Having known Andrew for the last 10 years this was a very special privilege, flying out on the Friday and returning on the Monday with the actual wedding blessing on the Sat. (by Romanian law they had already held a civil ceremony). An outdoor setting in the grounds of the church and family home the sun was glorious and the party till late at night. It also gave me the chance to meet again Alistair Chalmers and his wife Sabina. What a delight that was. As most of you know the Chalmers family mean a lot to Alison and I so this was a special honour. The second wedding was very different; in my smallest Chapel, it seemed like amiable chaos ! The groom was still selecting music on his phone for the service, 15 minutes prior to the start of the service. There were 10 bridesmaids ranging upwards from 2 years to early twenties. On top of this there was a best man and two small page boys nervously looking after the rings. There were so many in the bridal party I could hardly move at the front of my church. Despite the chaotic feel there was a sense of joy in the air, but my nerves were shattered.The fourth wedding was a unique affair Iain Barnett was one of my young boys from a previous circuit. Iain and Kayleigh were married in the heart of Sherwood Forest at the visitor centre with photos at the Major Oak. They asked if I would give them a blessing. Fully expecting it to be a public blessing they took me to one side and under a tree I gave them my blessing. A wonderfully intimate moment between the three of us. The bizarre thing was that because of the muddy conditions, the bride had bright custard yellow Wellington boots under her gorgeous white wedding dress ! 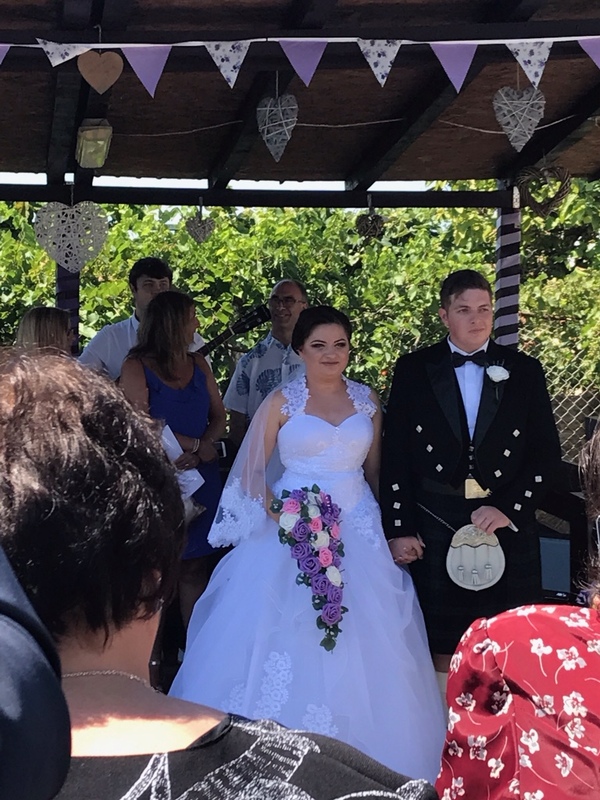 The fourth and final wedding was the most personal as my youngest daughter, Vikki married Mark. What greater honour can there be than to walk your daughter down the aisle and entrust her to another man. And of course it was this wedding when Vikki and Marks daughter Piper acted as flower girl alongside Caitlyn. They were both delightful, as were the older bridesmaids “crazy aunts” Rebecca and Michelle and Matron of Honour, Julia. 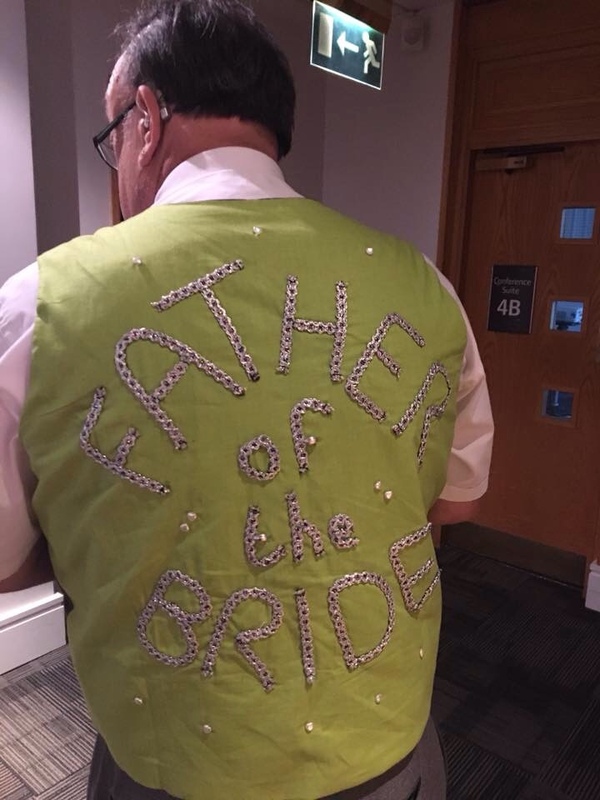 So I close the month, not only with a new waistcoat, but with a whole host of memories, far too many to list, but above all else I thank God for the opportunity to preach at an overseas wedding, meet and guide a local couple as they set out. I thank God for that intimate blessing under the tree in Sherwood and the fact that having left his church 4 years ago Iain still wanted me to be at his highest moment in life. Finally, I give thanks to God for the gift of family and that privilege of bringing them up and acting them flying the nest to begin their own lives. God at the centre of all four, albeit in different ways, but he was present nevertheless, and when we let him he'll lead us on the journey we call life.